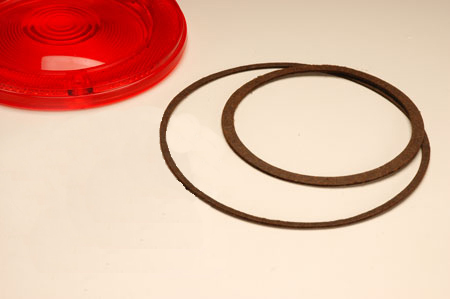 This is a tail light lens gasket set for the round tail lights used on Scout 80 & 800 and on Travelalls and pickups. See SP10541 for a picture of the lens these mate with. Each kit contains an inner and an outer gasket required to seal your lens against the weather. These prevent water, dust, and algae from getting inside and reducing light output. Two sets are required per vehicle.